Android and iOS have Windows Phone 7 squarely beaten when it comes to adoption rates. 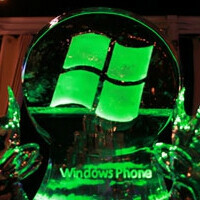 But the recent security threats and privacy issues surrounding Android and iOS may work in Microsoft's favor. Dave Northey of Microsoft Ireland explained to Silicon Republic why he thinks Windows Phone 7 is the "most secure" smartphone OS on the market. Northey explains that WP7 is inherently more secure, because of memory compartmentalization: "We keep applications away from the bones of the OS. When an application fires up, the OS will give it a dynamically allocated security bubble, for lack of a better word, and every app has its own one of those." These 'security bubbles' are in contrast to both Android and iOS, in which some apps have been found to steal information from one another. Northey says that "there's no other smartphone on the market that's as secure." When WP7 was released, it was promoted as a multimedia device for the average consumer. But Northey is optimistic about the announcement of more enterprise features in the Mango update. But will it be enough to make Windows Phone 7 competitive with iOS and Android? Given the increasing concerns about mobile security, this could convert a lot of enterprise customers. And then we'll see the average consumer follow suit, a la BlackBerry. I think what he meant to say was "it is more secure because nobody uses it". In which case, someone has a case of apples. No, he means that it would actually take some skill to write malware for WP7, versus Android, for example, in which a 5 year old with down syndrome could make a virus for while sleeping. agreed, as we all know when something becomes popular things change. as for windows phone it would be on the same boat if it were not for the reason that its still growning unlike ios and android which are already the popular platforms.Note. just compare windows os to mac os and other platforms. windows has tons of malware while OS x well has none to my knowlegde! I do believe that devices become vulnerable to hackers, not because the OS itself is weak, but because of users messing around with their devices rendering their devices open to malicious hackers. Wait, Gemini, are you actually saying something which could be construed to mean that you don't blame Android for what most iFanboys tout to be its perceived weakness? Do you actually maybe agree with myself and others? Uh huh..... We are supposed to believe this from the leading victims of computer trojans, worms and viruses...... Riiiiiiiiiight. im sure all of U went to school because he never said it was virus proof but d mOst secure currently! Usually when claims like this are made.....the claim is shattered in about a week.... But if it is the most secure, kudos to MS.
yes since we all know how easy it is to destroy a pc using IE i can't imagine a phone using similar software couldn't be much harder. I hope they prove me wrong however, I love Android and iOS. If WP7 continues to grow it may become a contender one day.